Welcome! Today is August 1st, and here at Technique Junkies Stamps, we have a baker's dozen of new stamps ready for you! To celebrate, we are hosting a blog hop so that you can see some of the great new stamps in action. After the hop, go shop -- all AUGUST release stamps are 15% off! You can find them HERE. If you arrived here from Kathy Stacy's blog ( http://craftynurse4u.wordpress.com), congratulations, you have seen all of the blogs - I hope you are feeling inspired! If THIS is your first stop, then I urge you to head over to the Design Team blog at techniquejunkies.blogspot.com to start from the beginning. 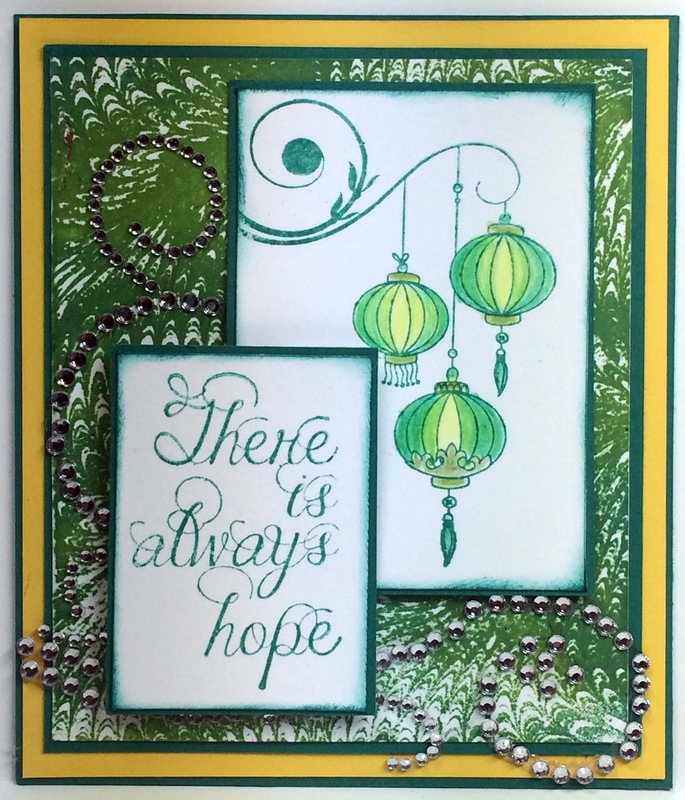 This piece uses the new Lanterns and the Always Hope stamps as the main stamps. For the background, I used the Marble Paper stamp to add more color. 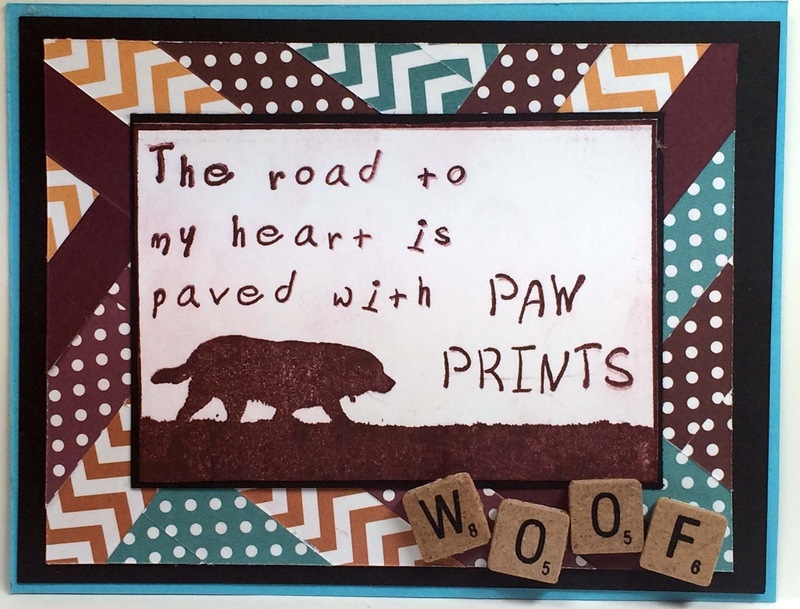 The second card uses the Paw Prints stamp over a Herringbone background (Designer Paper Perfection CD). I love how the multicolored background sets off the simple stamp so well! I hope that you have been inspired by the hop today. I love our new stamps, and I hope you do too!